The first book in this Pearls of Desire series introduced us to a group of shifter brothers, not all the same species, they had different mothers but the same father, and their friend Del. After leaving the military they find a new home working as security guards for the shifters living at the next door estate. This book, the fourth in the series is about Chase, he is the quiet brother, the shy but loyal brother who finds interactions with humans hard, he was actually born in the wild and lived as a wolf until his wolf mother died so that's understandable. He is a wolf shifter with a heart of gold. In the preceding books in this series, we have had glimpses of Chase trying to work up the nerve to ask Sophie out his brother all know she is the one for him but as I said he's so shy! Sophie is attempting to hide away from her past in Maui and is thrilled to finally be going on a date with Chase, he has finally asked her out. Unfortunately, danger comes a knocking in the form of David, someone from her past she had hoped never to see again, and to make matters worse David has three shifters with him as backup, how will she escape him? But now she is not alone, she has Chase and his brothers as well as their mates to help her. But she also has an inner strength she didn't realize she had and she calls upon this to save herself and her mate! I so loved Darcy and her two companions too - who is Darcy you ask you will have to read or listen to this story for the answer to that one. 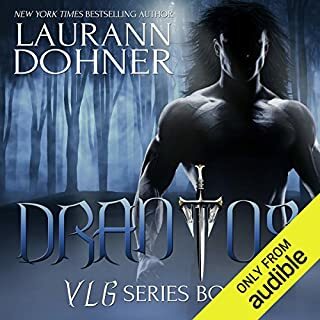 There are also further threats to the shifters we have now come to know and love, from the evil she-dragon, Maura, who has been a thorn in their sides from the very beginning - when will she get her comeuppance? 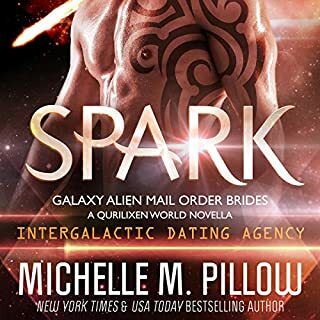 I loved the interactions between them I thought that Sophie was perfect for Chase and I loved Chase's wisecracks and the way his character was able to flourish in this story. Well done Anna Lowe you never disappoint! 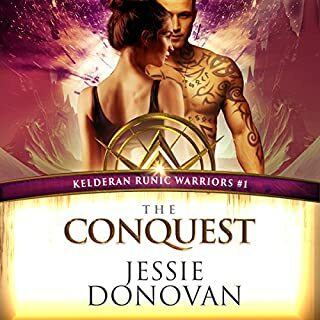 I had read the eBook of this story prior to listening to this audio version but I have to tell you the narration by the incredibly talented Kelsey Osborne took this story to a whole new level. Another Great Addition to Series - Chase's story! Sophie and Chase were so cute together. You couldn't help but root for them. I would love to have my very own Chase. It was interesting how their lives intertwined because of her stepfather. David, the villain and a "friend" from her past, was a total jerk who thought he could boss Sophie. It was suspenseful because you didn't know when or where he would show up or what he would do to Sophie. It all ties in to an enemy of the Maui shifters, even though it seemed as though David has his own agenda. I kept expecting him to pop up at any moment. I love the dogs, especially Darcy. Even during a bad situation, the dogs' inner dialog was so funny. If only dogs could really talk to us. I like the way Ms. Lowe ties the books together yet keeping each one different. I have thoroughly enjoyed this series and each book gets even better than the last and the last is always great! I was looking forward to Chase's story and Ms. Lowe did not disappoint. 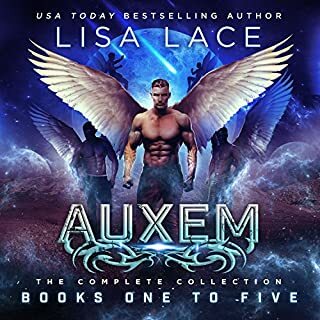 I love shifter romance books and if you do too and are looking for great series, I highly recommend this one. Love, love, love the covers of these books! I purchased Ms. Lowe's Blue Moon Saloon series and I am looking forward to enjoying them. Kelsey Osborne did a great job and now I think of her as the voice of this series. Up until now Del and Anjali 's romance was my favorite of the group. Chase and Sophie topped that. I loved how the story focused on their love romance while the pearl was less prominent. I loved how Chase handled the dogs and didn't compete, but understood their devotion to Sophie and hers to them. Loved, loved, loved Darcy! I've appreciated the narrator's skills improving of the course of listening to Ms. Lowe's books. I'm looking forward to listening to Rebel Heart next. Disclosure: I received a free copy of the audiobook. I also purchased the Kindle version. I loved listening to Chase's story. Chase has had a solitary existence, seeing as how he started life in an actual wolf pack. He has only recently become more attached to his human side... which coincides directly with his meeting Sophie, the pretty lady who works the smoothie truck. Sophie has her own interesting upbringing, which led to her coming to Maui for a fresh start; one greatly enhanced by a daily visit from hunky Chase. However, these two have some obstacles that are in the way of them finding their happily ever after. Will they be able to overcome them or not? I suggest you read (or listen) to find out. Standalone story but interconnected with the series for enhancement. This is avoluntary review of an advanced copy. I really enjoy this series. I love how the author brings in previous characters so we know what’s going on in there life’s. Sometimes she can get a little long-winded in certain parts but she makes up for it. I am Super happy to see Chase and Sophie get past their shyness and love forward with each other! They are just adorable together. Their struggle was not quite as intense as a couple of the ones before in this book but it was still very fun to watch the story unfold. I can’t wait for the next one! Rebel Wolf is the fourth book in the Aloha Shifter series. I will admit I had higher hopes for the story of Chase and Sophie. I am not sure what I was expecting. In the end their story was cute and unique to them. Chase has been raised by wolves, not shifters but 'real' wolves. Sophie is the smoothie queen of the island. Both quiet and reserved, it takes an explosion to get them to realize tomorrow may never come. I do look forward to Cynthia's story! I received a copy of Rebel Wolf from the author. Sophie works at the smoothie truck in Lahaina and has a huge crush on Chase but every time he comes a round she never knows what to say! Chase is a wolf shifter and used to work in an elite special forces unit with his brothers now he works and lives in Maui oh ya and he and his wolf know Sophie is their mate. He so shy he doesn't know what to say the poor guy. 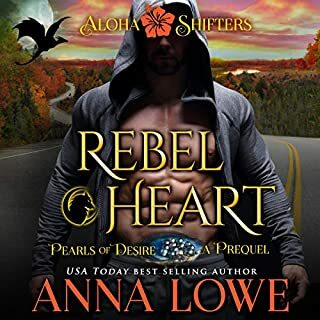 Rebel Wolf is book four of the Aloha Shifters: Pearls of Desire series and this is a sweet and adorable one! Chase is the quiet wolf shifter who has been swooning over Sophie for a few months! Sophie is just as smitten with Chase, but both are super shy. They finally -FINALLY are going to date! Yay!! But evil people are after Sophie. Can Chase help her? Sophie came to Maui to escape her extremist family, only she's not safe there either! Her past has strong and long reaching hands to get to her. Bringing out his military side, Chase vows to protect Sophie at all costs! There are many forces trying to gain control here and is the crew at Koakea up for the challenge?? I listened to this by audiobook and Kelsey Osbourne continues to do a stellar job of narration! She has a way of voicing all the different people quickly, and you know who is talking! Wonderful job! Another great book in this series! If you love shifters, romance, and a healthy dose of drama-then this is what you have been looking for! I highly recommend this and the Aloha Shifters: Jewels of Heart series as well!